After a dreadful start to the season, things have looked up for West Ham in recent weeks. The team began to defend more cohesively, and the front three of Felipe Anderson, Marko Arnautović and Andriy Yarmolenko, two of whom arrived in the summer, finally began to click. 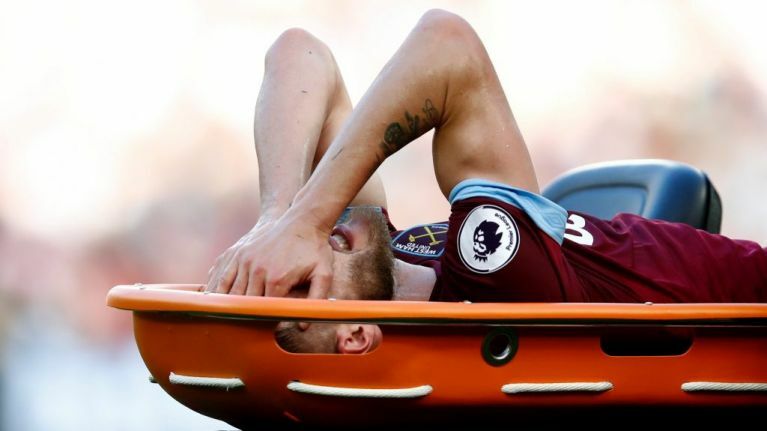 But the Hammers have just been dealt a blow as Andriy Yarmolenko has been ruled out of action for six months after sustaining an ankle injury during Saturday's defeat to Tottenham Hotspur. 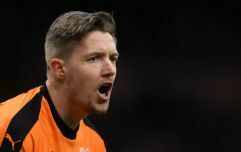 The winger ruptured his achilles tendon in a clash with Spurs goalkeeper Hugo Lloris and went down clucthing his ankle before being stretchered off to a standing ovation from the West Ham fans. Yarmolenko, 28, will undergo an operation this week and the recovery process is expected to last six months. After the match, Hammers boss Manuel Pellegrini said: "I prefer to wait for tomorrow and wait for the doctors' diagnosis. "It maybe didn't look good because he went off on a stretcher but it's better to wait for tomorrow." West Ham will miss Yarmolenko, who was hitting a run of form before the injury, but his absence could pave the way for Robert Snodgrass to make the right-wing slot his own.